Sorel Mizzi reflects on his last day job, from which he was fired for going off-script. When we spoke to Sorel Mizzi for part one of this feature on his life Before the Game, he had served two years in the army. Having gotten interested in playing online poker, Mizzi would need a bankroll to support his newfound hobby, so he went to work. For Mizzi, that was talking to people, and becoming a good communicator, something that directly applies to being a good poker player, especially at any level up to high roller. Knowing when to talk is a skill but knowing what to say to nudge your opponent towards the wrong decision is vital. Mizzi’s apprenticeship had already taken in two years in the Toronto Scottish Regiment. Now it included a demanding sales role. From the start, his ability to sell gave him a key skill which he would later use in poker. Mizzi was selling something he didn’t believe in, but despite this, he excelled in the role, being one of their best salesmen in his first three months. But he had itchy feet. 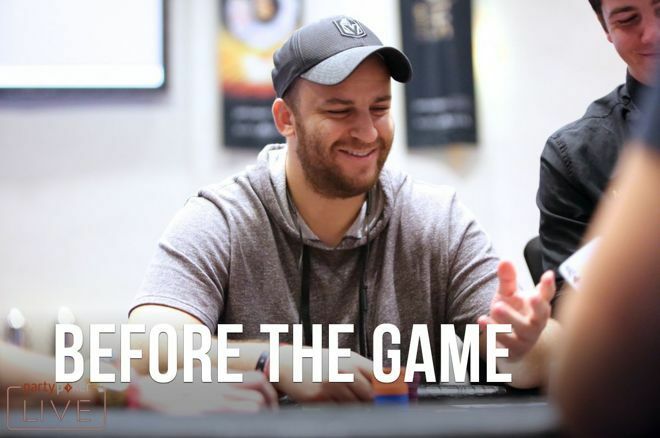 Many online players have met with success, but for Mizzi, in that phase between learning the game and winning real money, he had a life-changing week that opened up some opportunities. “I won $80,000 in a week playing $100 tournaments. I was on cloud nine. I won two out of three of the Monday, Wednesday and Friday majors on partypoker and came second in the other. It was pretty huge. I was excited and thought ‘I can do this.’"
If Mizzi believed in himself too much, he was about to feel the full effects of that due to a game variant he still doesn’t relish talking about. He used his new $80,000 bankroll to go back to the first game he ever played - limit hold’em. “This time I was playing much higher stakes at $100/$200 and $300/$600 limits. I wasn’t rolled for that game. I played too aggressively and overall quite poorly. I was playing nine-handed limit hold’em as if it were heads-up. There were things in poker that I was really good at and things I wasn’t. Nine-handed Limit hold’em was my poison and I dumped most of the money I won from tournaments back into nine-handed limit hold’em. Mizzi realized that he needed to invest the last $10,000 of his money, and, along with his brother, put it into an underground poker club in Toronto. Limit hold’em wasn’t going to make his name, but he quickly found out what would. Poker could become his job, but first, he needed to leave his 9-5 at the telemarketing company. That meant getting fired. Cue a politer rewriting of a certain scene from Fight Club. That dreaded moment when the boss calls in his misbehaving employee is one that most people would love to have the guts to rise up and tell that boss where to go. Mizzi did exactly that. Poker became Sorel Mizzi’s life, and he never went back to work. Over $12 million in tournament winnings later, it’s fair to say that he doesn’t have any regrets. But he did gain a lot from the life he had...Before the Game.